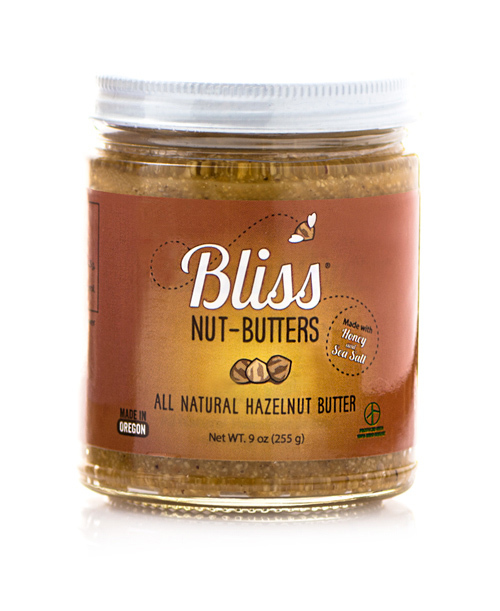 In June of 2014, we launched our newest nut butter, Hazelnut Butter Bliss. We roasted Northwest hazelnuts and ground them together with organic, non-GMO honey, sunflower oil, and sea salt to create the perfect blend of sweet and savory. 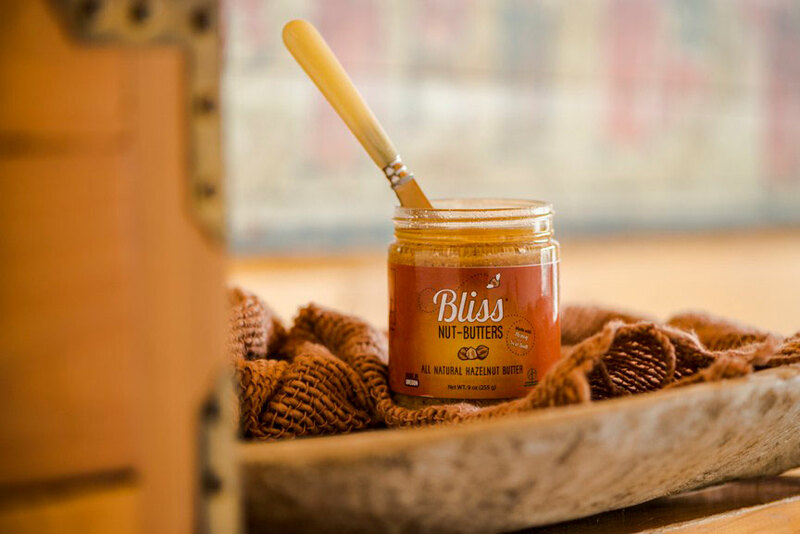 If you suffer from peanut allergies or peanuts just aren’t your thing, then Hazelnut Butter Bliss is the nut butter for you. There are no preservatives, no additives and our hazelnut butter is packaged in a glass jar that is recyclable, sustainable and reusable. 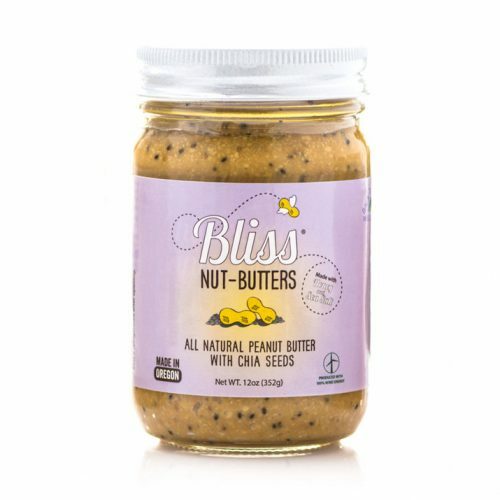 Nutrition Facts Serv. 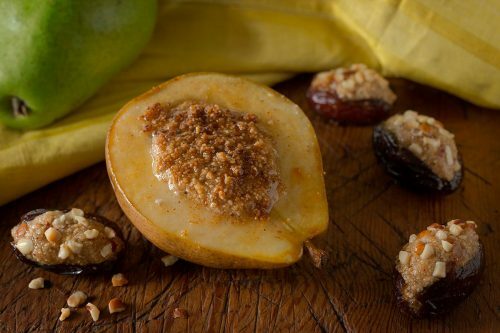 Size 2 Tbsp (32g), Servings About 8, Amount Per Serving: Calories 210, Calories from Fat 190, Total Fat 21g (32% DV), Sat. 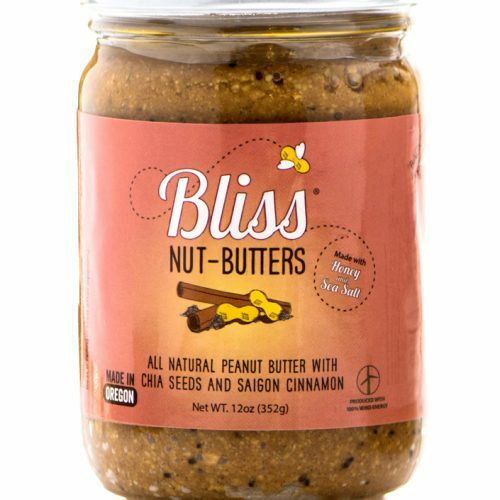 Fat 2g (9% DV), Trans Fat 0g, Sodium 105mg (4% DV), Total Carbohydrate 7g (2% DV), Dietary Fiber 2.9g (7% DV), Sugars 4g, Protein 3g, Vitamin A (0% DV), Vitamin C (0% DV) Calcium (2% DV), Iron (4% DV). 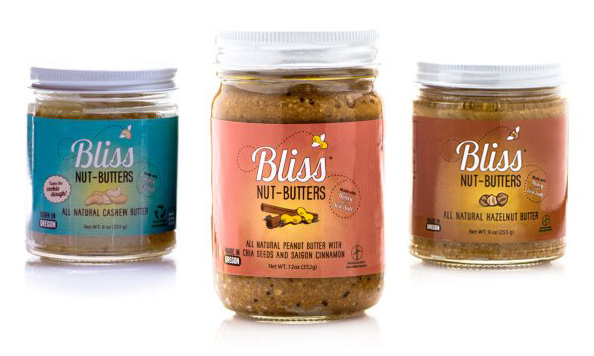 Ingredients Roasted hazelnuts, sunflower oil, organic raw honey, sea salt.